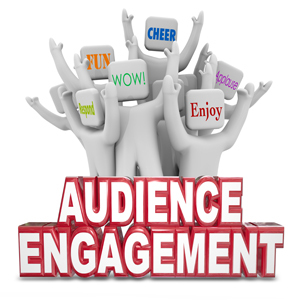 Your target audience can always be profiled primarily on their needs / wants / pains / and problems. This can be further broken down into demographics and psychographics and where they are in the buying cycle (which decides their behaviour on your site). Your goal then is to ensure that every element of your website persuades visitors on your site to take the actions that lead to the delivery of your objectives (conversion). 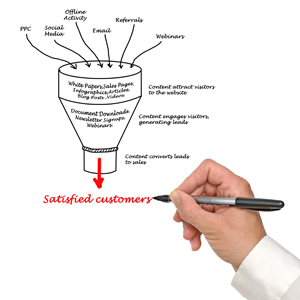 Conversion on your website means the visitor completing your desired action or objective. Pour site visitors through your website funnel while monitoring and measuring their actions to ensure that your efforts are driving results to the bottom of the funnel and your bottom line. Remember that every click on your site is a step towards conversion. Visitor satisfaction with every click on your site should build confidence until they reach the final click where they convert into a customer. Business Conversion starts by defining your business goals and target audience, and then ensuring that every element of your site persuades visitors to take the desired actions. These elements include: persuasive copy, calls‑to‑action and conversion tools like live chat or click‑to‑call technology. All websites must have a persuasive purpose. Building your site with Conversion in mind will result in more visitors doing what you want them to online – whether buying a new product, signing up for your VIP Club or printing off a coupon. Digital Marketing Experts can engage you in an Information meeting to identify the details of your conversion formula and work the magic for your website! Call and book an appointment today.